The below article has been written by Dr Cornelia Botha, who uses drug-free interventions to treat and manage Chronic Fatigue, Recurrent Infections, Insomnia and Headaches (chronic and recurrent). To make an appointment with Dr Cornelia Botha please contact her receptionist by visiting the contact page for more information. Chronic and recurrent headaches, including migraines, are a challenge to treat. There are so many possible causes and contributing factors to consider. One thing is certain, it is imperative to investigate the role of diet in chronic and recurrent headaches. There are so many ways in which diet can contribute to headaches; food allergies, food intolerances, various specific dietary deficiencies and excess, not to mention deficiencies in certain enzymes needed to break down histamine in food. The content and timing of meals can also play a role. It is worthwhile being assessed by a practitioner knowledgeable in investigating the link between diet and headache. Looking at diet alone, however, is often not sufficient to treat recurrent headaches. Many other factors such as menstrual cycle in women, sleep disorders and blood disorders should always be taken into consideration as part of a thorough investigation. The causes and contributing factors of recurrent headaches whether diet or otherwise can vary greatly from person to person, which is why an individualised diagnostic and treatment approach is so important. The treatment of insomnia should be approached holistically. Although drugs that induce sedation works well for many people, the side effect of daytime drowsiness is intolerable for some people. Medical drugs also don’t work for everyone. Treating the underlying imbalances is a better approach. Taking into consideration medical drug history, diet and sleep hygiene are very important in addition to other diagnostic approaches. Certain diseases related to nutrition can have a big influence on sleep quality. A thorough evaluation will include testing for nutritional deficiencies related to sleep in addition to a complete case history taking that may highlight dietary intake of foods and drinks that can have a negative impact on sleep. Certain nutritional diseases such as anemia and type 2 Diabetes can influence sleep quality. There are many causes of fatigue. All possibilities need to be considered and investigated by an experienced practitioner. Dietary imbalances can contribute to fatigue in a number of ways. Anemia (caused by either iron or vitamin B12 deficiency) is just one of the most obvious nutritional causes of fatigue. The timing of meals, as well as the content, of the meals can provide a lot of information regarding contributing factors in cases of fatigue. People often consume stimulant drinks such as caffeinated drinks to help them cope with fatigue. This only creates more severe fatigue in the long run and should thus be avoided once the correct treatment for fatigue is started. 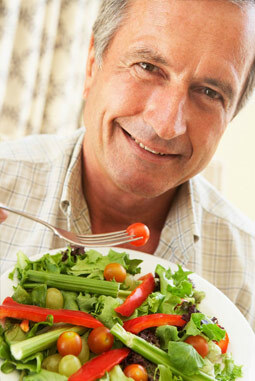 Diet can play a major role in various cases of recurrent infections, whether recurrent urinary tract infections, recurrent respiratory tract infection or recurrent vaginal and oral thrush. Nutrient deficiencies and excesses can have a big impact on immune function. All patients presenting with recurrent infections should be investigated for nutrient deficiencies and excesses related to immune function in addition to a full case taking and other diagnostic testing before a holistic treatment program is commenced. To make an appointment with Dr Cornelia Botha please contact her receptionist by visiting the contact page.